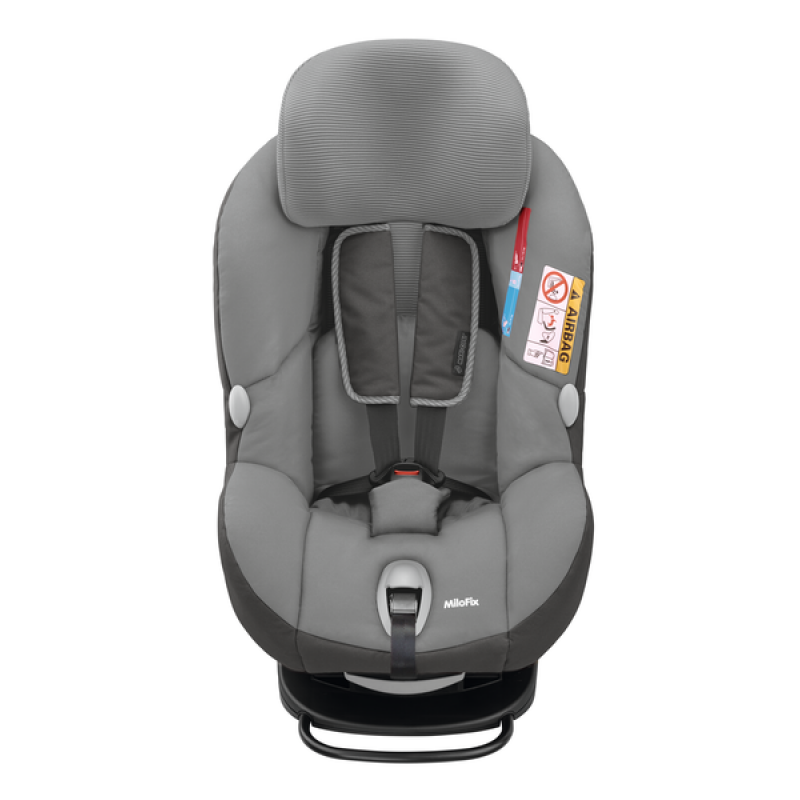 The extra-safe Maxi-Cosi MiloFix is a baby/toddler combination car seat with extended rearward-facing travel. 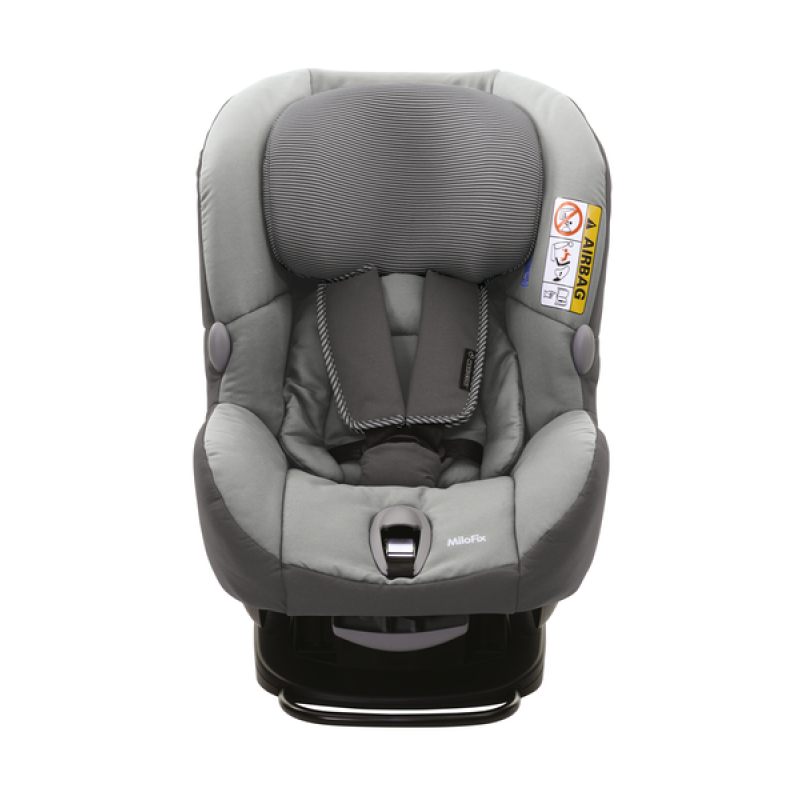 The comfy padded seat with angled base provides additional leg room for your baby allowing them to travel rearward-facing up to approx. 15/18 months. Travelling in a rearward-facing position offers improved head and neck protection in the event of an accident. Once your toddler reaches 13 kg, the seat can be easily rotated to a forward-facing position for use up to 18 kg (approx. 4 years). In the forward-facing position, the MiloFix has a recline position for added comfort. 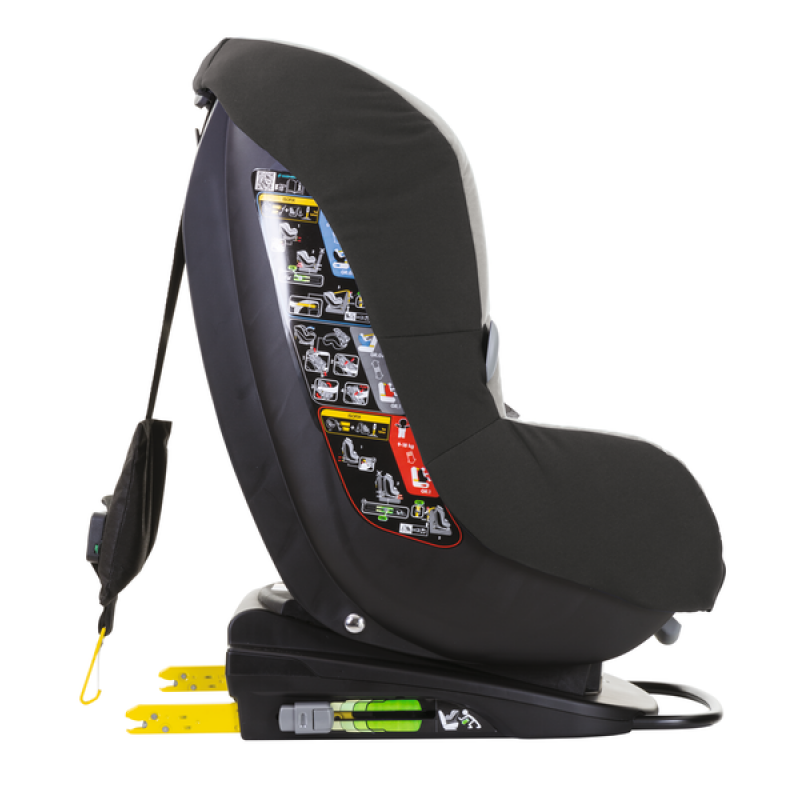 The seat harness and headrest adjust simultaneously to ensure the comfort and safety of your child as they grow. The MiloFix is also easy to use with a cleverly routed top tether strap, which gives easy access to your child from either side of the car, and harness strap hooks that allow you to buckle up your little one in seconds. Awarded a 4-star car seat safety rating by European consumer organizations, the MiloFix uses IsoFix attachments with a top tether anchorage point for a 3-click quick and secure installation. Colour indicators confirm that the seat is installed correctly. 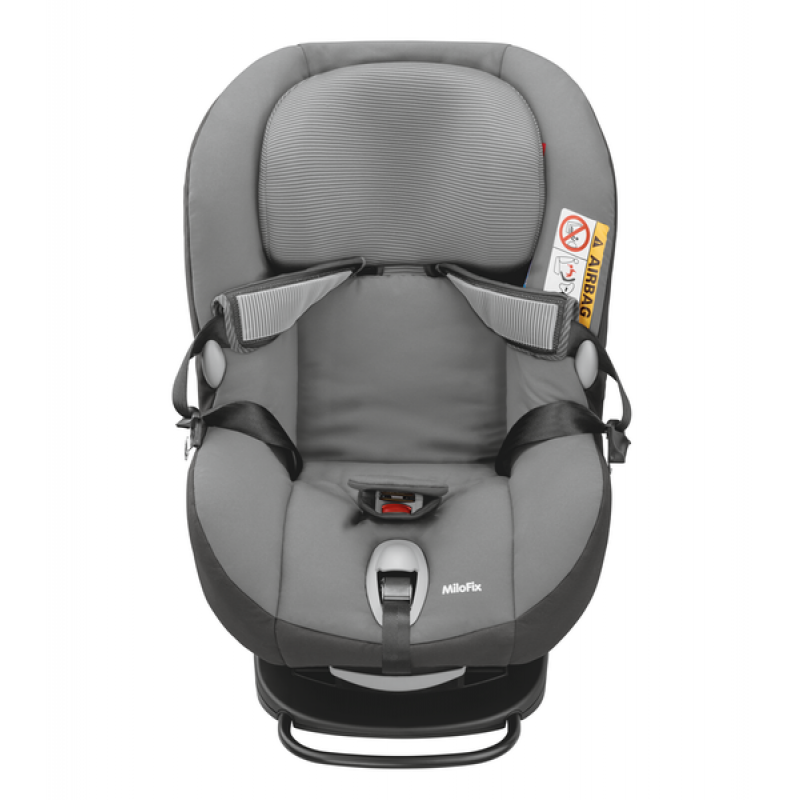 The Maxi-Cosi MiloFix is a baby/toddler combination car seat suitable from birth to 18 kg (approx. 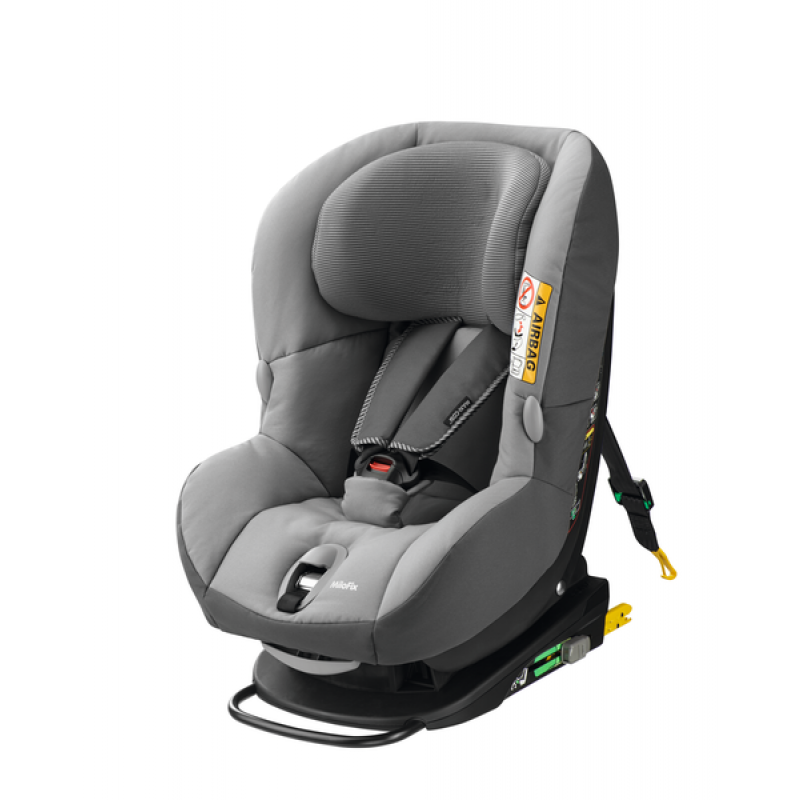 4 years) and comes complete with a removable newborn insert, 5-point safety harness, harness pads and integrated top tether installation kit. What is IsoFix with top tether system? Installation in the car using 2 IsoFix connection points on the vehicle seat plus a third top tether attachment point in the back of the vehicle. The top tether (third attachment point) provides additional safety by stopping the seat from rotating in the event of a head-on collision. Top tether attachment point is widely available in cars since 2006 and compulsory in all new vehicles since 2011. Top tether points can differ from car to car so please check your car’s handbook for the exact location. They are often found on the back of the rear seat, on the floor of the boot or on the roof of the boot.